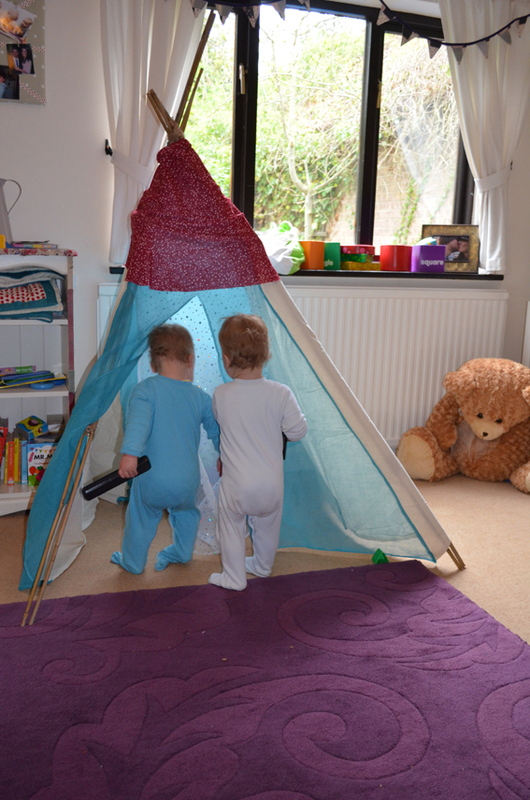 Save money and build your own easy peasy teepee! 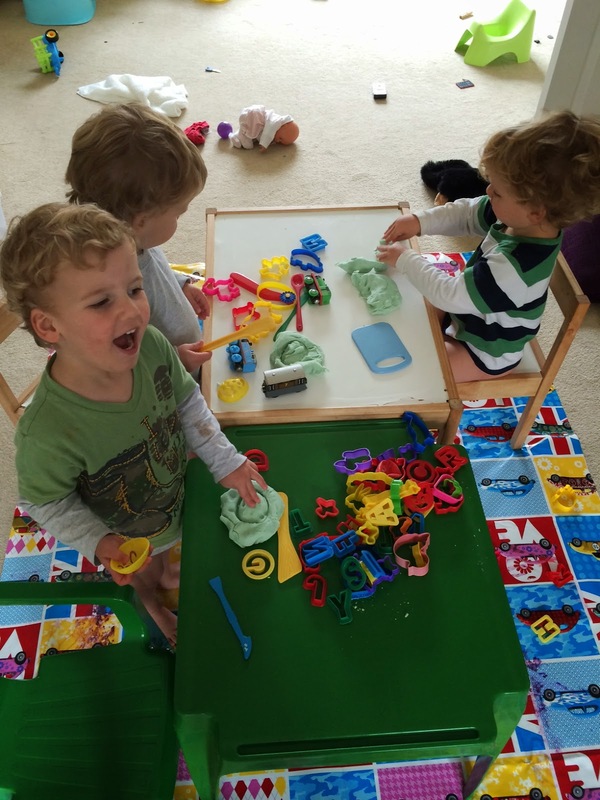 I love making things for the boys and I have been making them dens using bedsheets and chairs for ages. 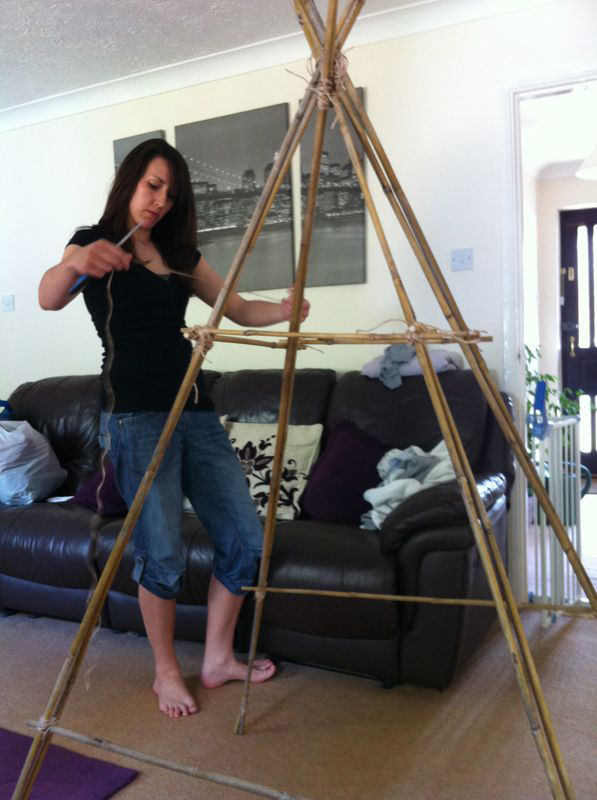 I saw a handmade teepee for sale recently costing £180 (!!) so I decided to make my own. Some adhesive tape for a bit of extra strength. 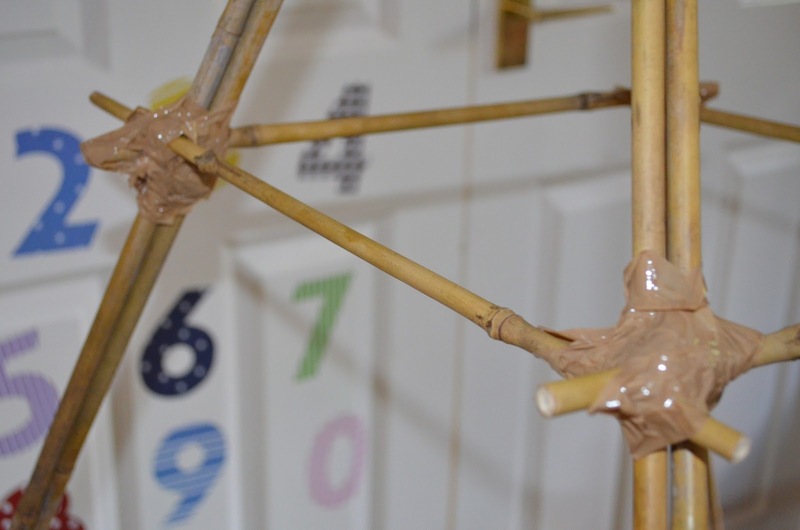 Tie 2 bamboo canes at each end with twine or tape together with adhesive tape. 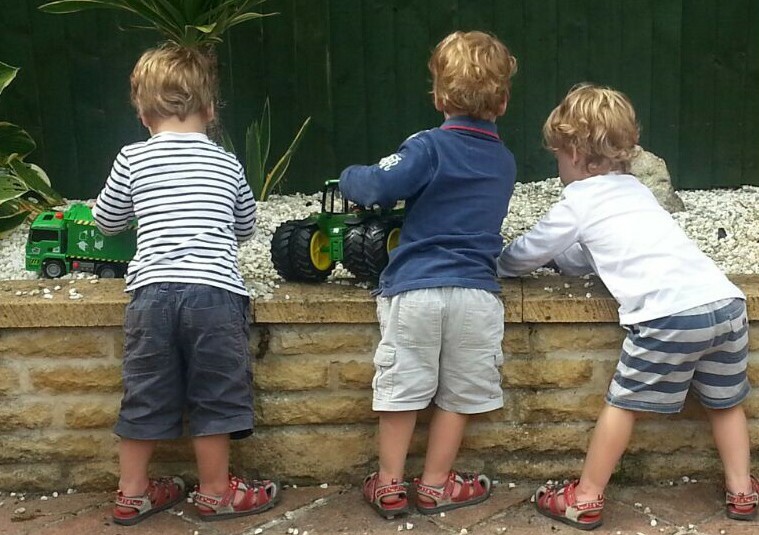 Repeat a further 3 times so you end up with 4 sets of bamboo canes (having used 8 altogether). Now the tricky part. 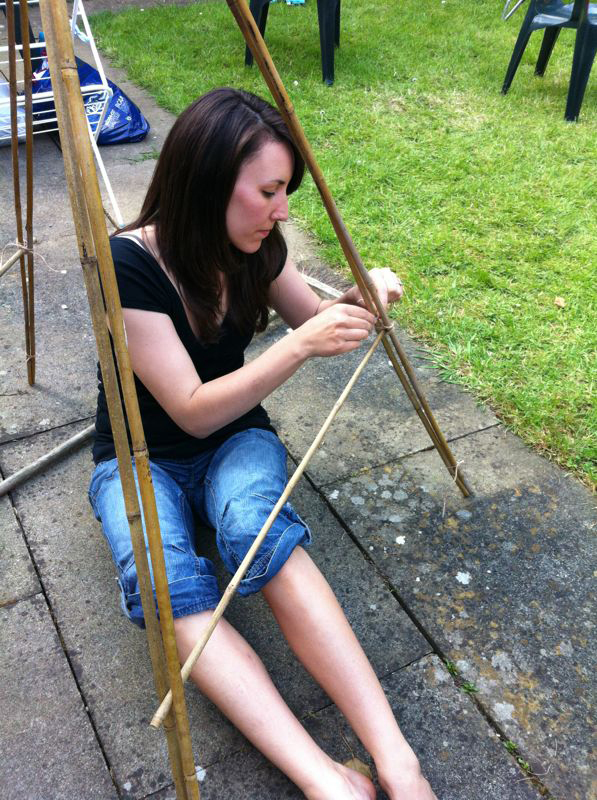 You need to place them into a teepee position (make use of the other half at this point) and tie twine around the top. 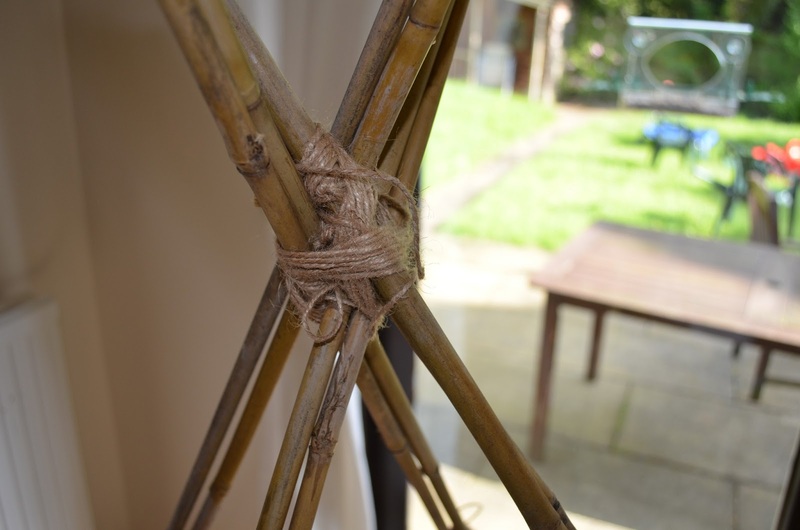 Once you have done that, it will still look a bit unstable so what I did was cut a bamboo cane in half and on one side of the teepee threaded each end through the bamboo canes. 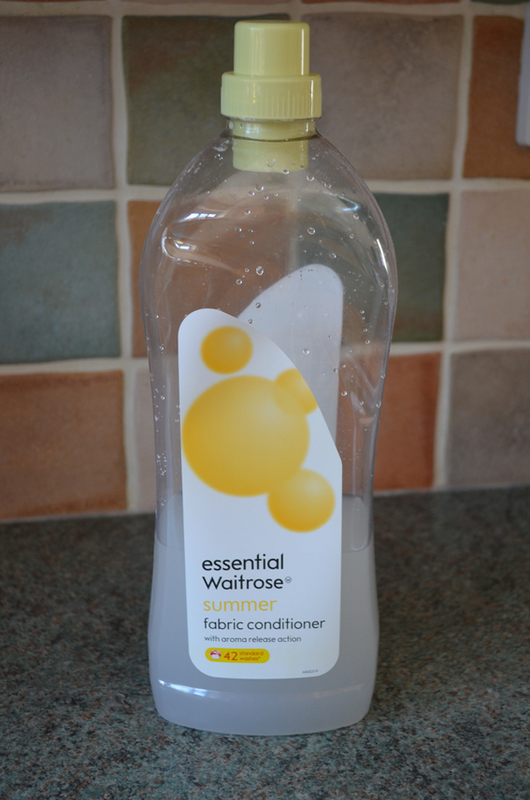 I then secured it with some twine. 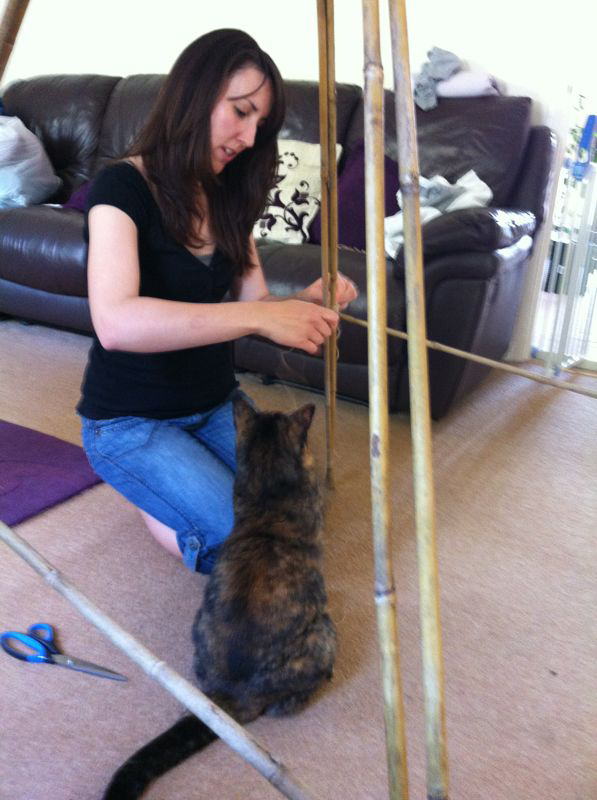 If in doubt ask the cat for some assistance! Using the other half of the bamboo cane repeat this on the opposite side of the frame. For extra strength you can make a little square out of the last piece of bamboo and slot it over the top of the main frame. Secure the square in place with twine. Once you have done all of this your frame may look a little wonky. It’s ok, there should be enough movement in the twine to adjust it to how you want it. Now that you have the frame as you want it, add some strong adhesive tape to the joints and this will prevent the frame from moving and also cover up any sticky outie bits. I know it doesn’t look that pretty, but no one will see it because it’s covered with fabric. Congratulations you now have your frame! 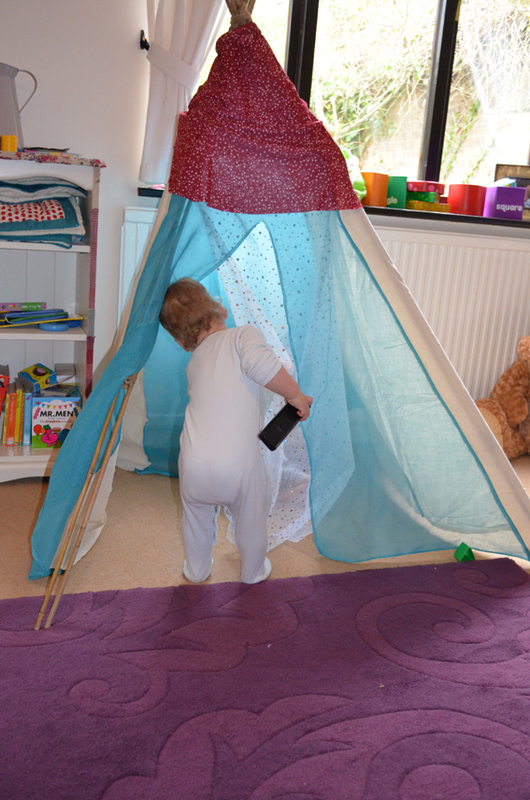 Now, if you are using fabric you will need to measure up your teepee for the fabric panels. 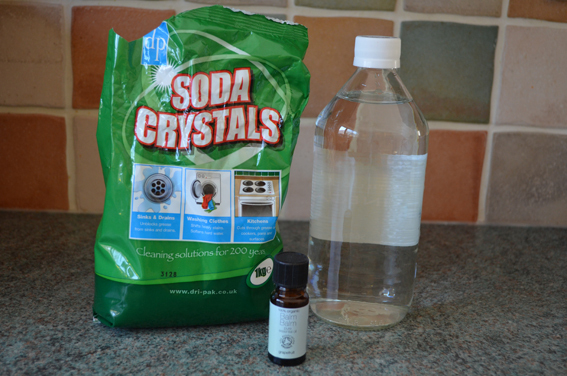 If you are using a flat sheet or a duvet cover all you need to do is cut a hole in the centre and then place it over the teepee. Once in position, cut a single line up the middle of one of the sides to make the door. I have an abundance of fabric and I like to sew so I created my own panels and separate little hood for the teepee. That’s it! You now have a fully functioning teepee. Creating a window in one or two of the sides and hand stitching an old tea-towel at the top edge of the window to create a flap. 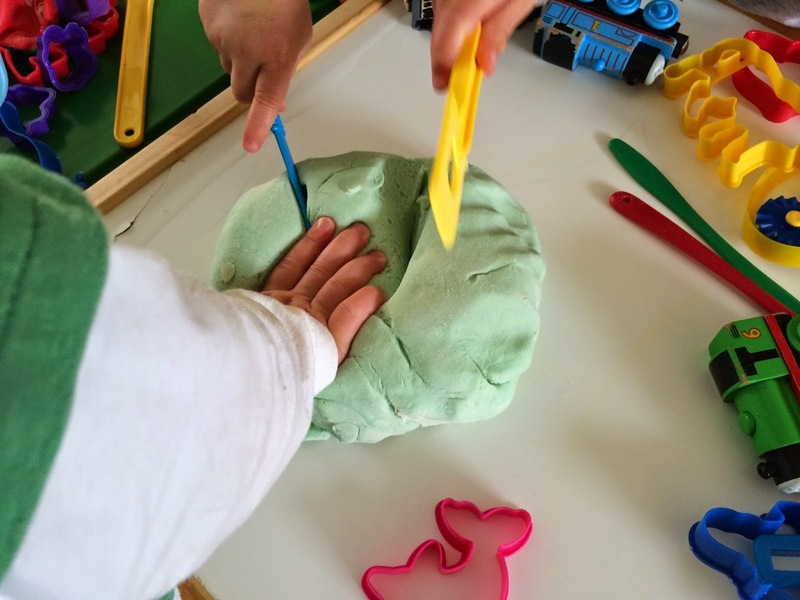 Get your children involved in decorating it, buy some fabric paints and maybe do some hand prints or footprints on the outside to create a piece of art that they can also be proud of. I hope that’s been useful and I hope your little ones enjoy a shaded place in the garden or an inside hideaway on a rainy day.